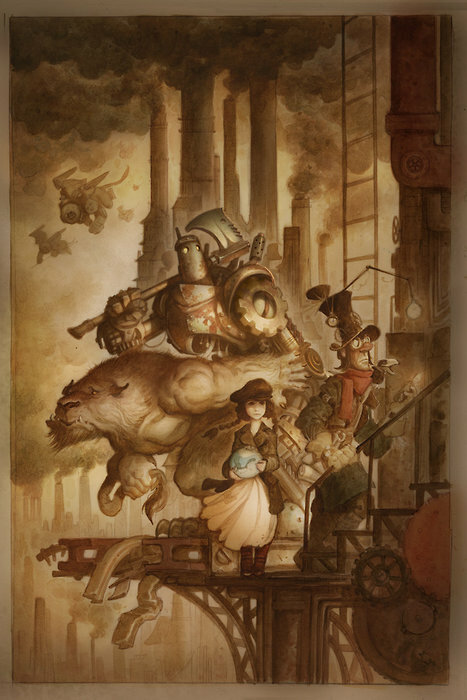 I love these two paintings by illustrator/artist/animator Justin Gerard. Be sure to check out his Reluctant Dragon painting on his blog HERE too. You can see more of his work and animation at his website HERE (the 'gallery' link doesn't seem to work but the others do - tons of gorgeous paintings to find. You can also get to the gallery with interpretations of Beowulf and The Hobbit through his blog.). 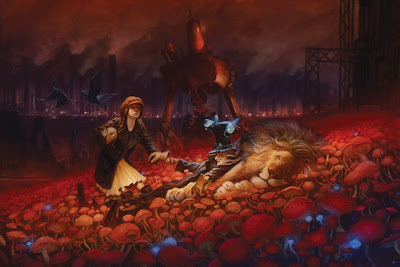 He is part of Portland Studios Inc., a team of very talented artists, illustrators and animators including Corey Godbey (who I've featured a couple of times before - click on his tag below or in the sidebar to see his gorgeous fairy tale work ).You can find their website HERE.